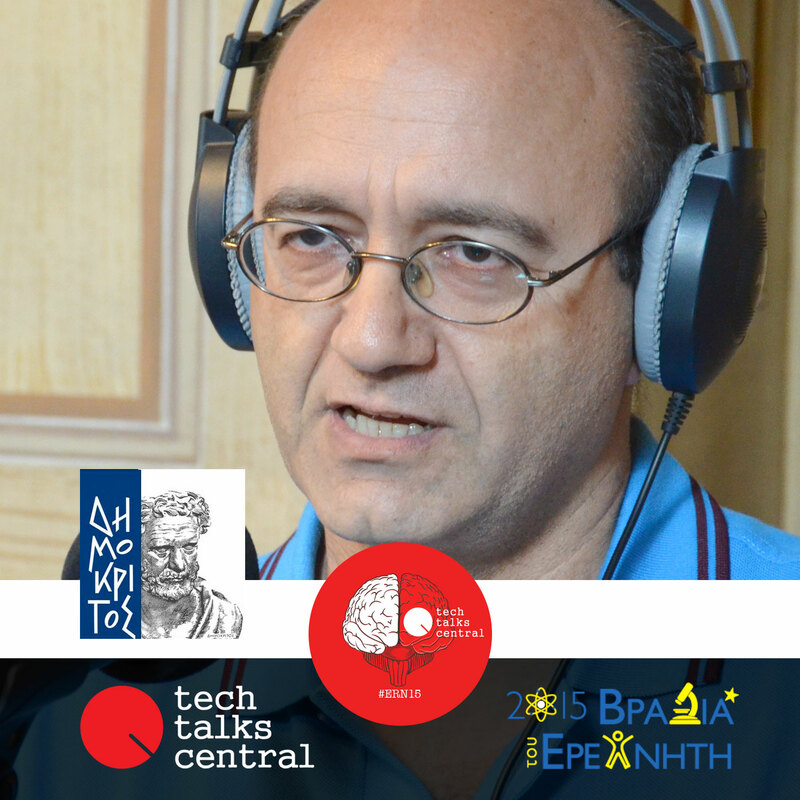 The close collaboration between the NCSR “Demokritos” and CERN is illustrated once more during our interview with Dr. Theodoros Geralis, Research Director at the Institute of Particle & Nuclear Physics of the historic institution in Athens, and also President of the 300-strong Hellenic Society for the Study of High-Energy Physics. Dr. Geralis gives us a first-hand account on their common activities, explaining the different kinds of NCSR participation in the famous CMS experiment which lead to the discovery of the Higgs particle, in 2012. He also describes the next steps towards a frame larger than the standard model, which will explain our world even better, solving perhaps the problem of dark matter. Finally, he points out the high level of the Greek researchers, demonstrated by the fact that they play a critical and quite disproportional to the size of their country, role at CERN. Interviewed by Yannis Rizopoulos for Tech Talks Central. Dr. Theodoros GERALIS, Senior Researcher at the Institute of Nuclear Physics at NCSR Demokritos. He studied physics at the University of Athens & accomplished his PhD Thesis from the National Technical University of Athens (NTUA) in 1991. His PhD concerned the study of CP Violation in the K meson at the CPLEAR experiment at CERN, where contributed very significantly to the completion of the Hardwired Trigger processor and the physics studies of the Neutral Golden channels. He joined the Centre de Physique des Particules des Marseille (CPPM) group between 1988 – 1991 and the ETH Zurich group from 1991 to 1993 within the frame of the CPLEAR experiment. During the period 1993 - 1997 he played a leading role in physics analysis studies (tau-polarization, Bhabha events, luminosity measurements) in the OPAL experiment at LEP, as a Senior Research Associate at the Rutherford Appleton Laboratory (RAL). He was also committed to operating the End Cap Electromagnetic calorimeter of the OPAL experiment. His recent work is devoted in the CMS experiment at LHC and the CAST (CERN Axion Solar Telescope) experiment with the Institute of Nuclear Physics, NCSR Demokritos. He lead the team that designed and constructed the Global Trigger Processor Emulator (GTPe) for CMS and the Data Acquisition system for the micromegas CAST detectors and he is member of the Institution’s Board for the TriDas system in CMS. GTPe is a system build to enable the CMS DAQ system installation, multi-functioning implementation and upgrade. The Micromegas DAQ has been used since 2003 for the CAST experiment data taking as well as in DAQ systems for the Micromegas development. He was actively involved in the design and development of the Micromegas detector for the CAST experiment and other applications. He has published over 970 papers in peer review High Energy Physics journals and has presented his work in numerous International Conferences. He is editor and referee in international Scientific Journals. He has been elected four times (1 year term) in the Council of the Greek Society for Particle Physics. He is also actively involved in Education: teaching at post graduate and graduate level, supervising of PhD, Master and Diploma theses.